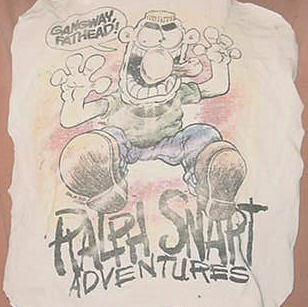 Ralph Snart Adventures was written and drawn and everything-elsed by Marc Hansen. I thought the following was some kind of ironic sign. This guy had the same first name as me, spelled it with a ‘c’ like me….. he had the same initials as me – MH – and his last name had the same amount of letters as mine — Hansen, Hickey. Plus, I had an acquaintance named J. Hansen and my Grandfather’s name was ‘Grampa Jay’. Okay, okay… mayyybe that last one’s a bit of a stretch, but hay!… guess what??!! That’s what Marc Hansen had to do while working for NOW Comics….. He had to stretch those dollars he earned drawing Snart as far as he could – just to make it to the next payday (whenever they decided that was going to be. That’s what I understand to be the case, anywho). I’m rambling. Anyway, before I met Ralph Snart, I liked to draw cartoons myself. 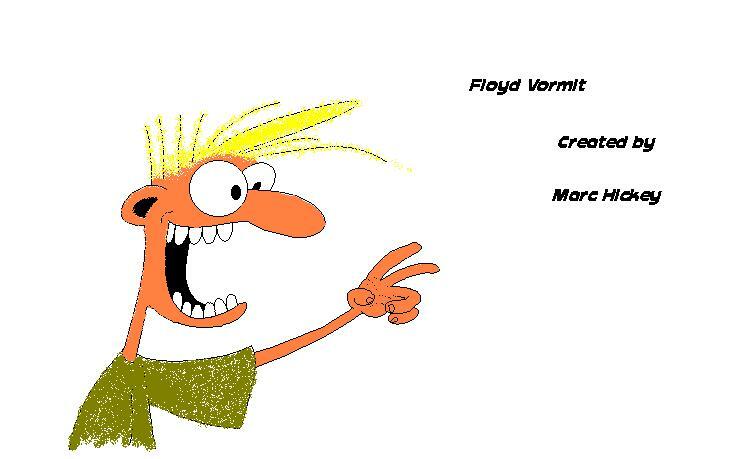 I believe that the creation of my own cartoon character, Floyd Vormit, is directly influenced by my contact with Marc Hansen’s Ralph Snart. So, Marc Hansen is indirectly responsible for Marc Hickey’s Floyd Vormit. Perhaps, someday, Floyd will find a place in this world. Marc Hansen is not working for any Comic Book Corporations these days. Hansen has learned some computer programming in the meantime and has built himself a website. He couldn’t keep himself away from his own urges to draw Snart, so he decided to self-publish Ralph Snart Adventures online. You can get access to his online comic and his whole story from his website at www.marchansenstuff.com . Go check it out! Ralph Snart is a registered trademark. ©1986-2012 by Marc Hansen. Images used by permission.